The world was entering war. Archduke Franz Ferdinand, heir to Austria-Hungary’s throne, and his wife, Sophie, were assassinated on June 28, 1914. Austria-Hungary declared war on Serbia. Then, Germany, Russia, France and United Kingdom entered the fray; US President Woodrow Wilson announced the US would remain neutral. US neutrality lasted until April 1, 1917, when the armed merchant ship Aztec was sunk off the northwest coast of France by U-boat 46 under the command of Leo Hillebrand. In 1847, on a voyage to the China Sea, Captain Dominis was lost at sea. To make ends meet, Mary Dominis rented out spare bedrooms in the house. Twenty-four year-old Curtis Perry Ward (whom some called a ‘lonely Southern bachelor,’ while others say he was an ‘aloof, aristocratic Southerner’) arrived in the islands in 1853 and rented a room at Mary Dominis’ Washington Place. He later opened a livery stable, started a small feed company and a draying business, all of which made money for Ward. 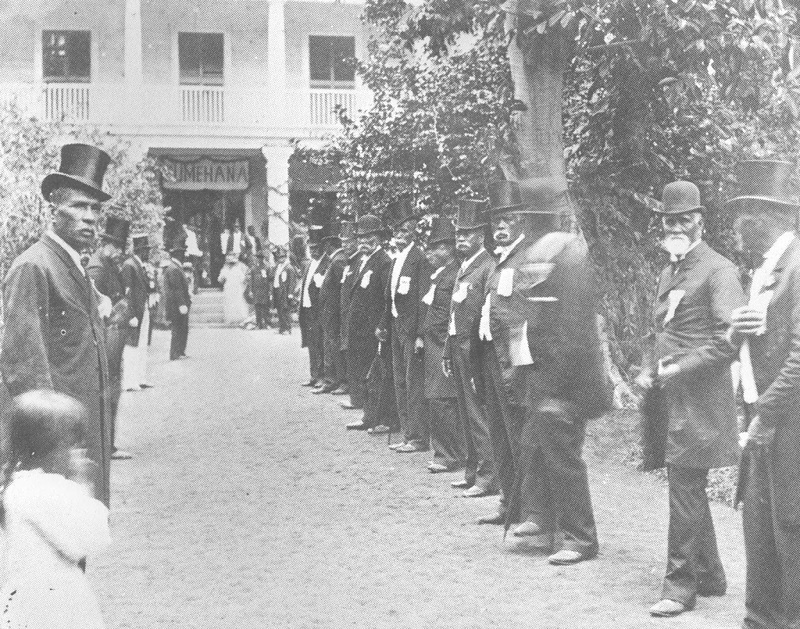 In 1858, Ward rented a residential block now occupied by Davies Pacific Center as a home and location for his livery business. He named the property “Dixie”. When tensions began to rise between the American North and South, the first shot of the American Civil War was fired at Fort Sumter off the coast of South Carolina on April 12, 1861, nearly six thousand miles away. 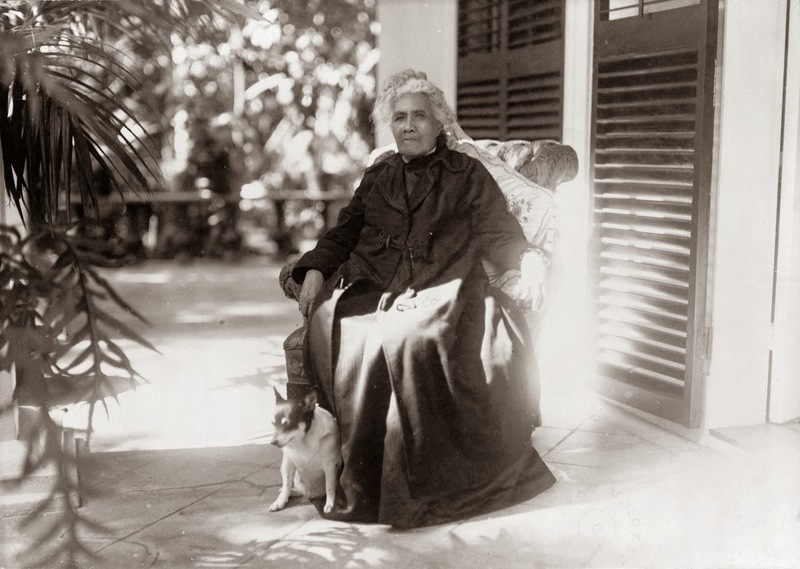 In 1865, Ward married Victoria Robinson, Hawai‘i-born daughter of English shipbuilder James Robinson and his wife Rebecca, a woman of Hawaiian ancestry whose chiefly lineage had roots in Kaʻū, Hilo and Honokōwai, Maui. For many years they made their home at ‘Dixie;’ later Ward Homes were ‘Sunny South’ and ‘Old Plantation. The Wards had seven daughters. It was said that all of them were born in the bed under the Confederate flag. The flag is a “treasured relic of the Ward family to this very day.” (Taylor) In 1882, Curtis Ward died at age 53.